Mobiles with internet services have become the basic necessity these days. Internet allows you to perform various tasks effortlessly and gives any kind of information which you are in need of. You can browse through the internet when you are at home or at office or during travelling. So to experience seamless internet services without any interruption, choose the package wisely that suits you. There are also various offers on mobile data recharge as there is huge competition in the market. Telecom operators like Aircel, Jio, Airtel, Aircel, Idea, Vodafone are showering offers to their customers. Also use mobile data recharge coupons to grab more discounts. Verified on 22/4/2019 .. Paytm is giving upto Rs 10 cashback offer. Promo code GRAB10 is valid on all mobile prepaid, mobile postpaid, dth, data card recharge, landline transactions. 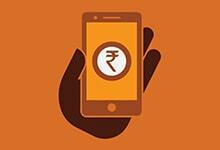 Maximum cashback is Rs 10 and minimum assured cashback is Rs 1. Promo code is not valid on Airtel services and can be used upto 5 times per user per number. Avail today. Get 50% Cashback on Vodafone SuperHour. Get Unlimited 4G/3G Internet for 1 Hour. Offer is valid on above mentioned Vodafone Data plans only. Use the code to get 50% Cashback. Your Smartphone isn’t functional to its fullest extent if you haven’t got your mobile data activated. From the regular browsing of the internet, social networking to sending online texts today mobile data is also required to see videos, download documents, checking and replying to mails as well as making online ticket booking, flight booking and paying bills online as well. This is where every mobile user looks forward to the mobile data recharge coupons that can help them save a good amount on their recharges or help them win other offers that are attractive. To have access to the same you need to make the most of the offers and deals that are listed on HappySale. Here you will come across offers and deals listed by many service providers that you can browse and select. Is yours a Vodafone connection? Then you can browse through the mobile data recharge promo codes that are brought to you by Mobikwik which allows you a 50% of cash back deal on 4G internet for 1 hour or more. There are offers and deals by other service providers that you can select from, which include Aircel, Jio, Airtel and Vodafone. That isn’t all. You also have the chance to get great offers on your mobile bill payments. From the best of the promotional discounts to cashback offers, there’s plenty of deals and offers that are designed keeping in mind the varying needs of the people and hence, there’s something for everyone to browse and select. The recharge and bill payment offers keeps varying from time to time, bringing the best offers that the users can browse through and select based on their need of the moment. If you want to make the most of the mobile data recharge coupon codes then you simply need to keep on browsing through HappySale as this is where you have the best offers listed for you! Read through the deal details that lets to you about the deal completely prior to activating it.